Keep your hands, face, and feet away from any moving parts. If your working area is dusty, wear a dust mask. Do not overreach. Always be properly balanced. Be alert if the area you are trimming is wet or on a slope. Use caution while working on steps. Never operate an electric blower if the area is wet. Make sure the air intake is always free of debris. Perform a safety check before and after each time you use the blower. Check and tighten all loose nuts, bolts and screws. Clean the blower after each use. •If your working area is dusty, wear a dust mask. •Make sure the area is clear of other people where you will be working. 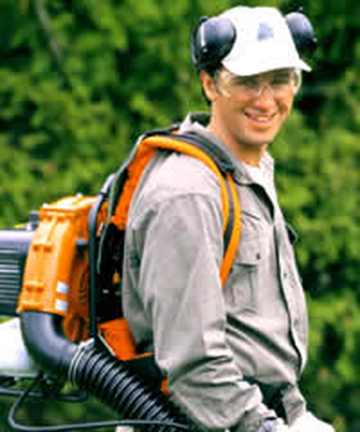 •Always wear proper clothing and eye/face and ear protection while operating blowers.